Dancing in the Park- June 6th Contra Dancing! You can dance, you can jive, you can have the time of your life every week during Dancing in the Park! Get your feet and body moving with a different dance group each week. All events take place under the Schenley Plaza tent from 7 – 10PM unless otherwise noted. This entry was posted in Uncategorized on April 30, 2018 by Eva Westheimer. Join us for family dances in Spring 2018. Live music by the Music Makers, with Gaye Fifer calling. All ages welcome! The cost is $5 per person or $10 per family. See the attached flyer for more information. This entry was posted in Uncategorized on March 23, 2018 by Bronwyn. We will be continuing to dance at the Shiloh Center through at least the end of May. We are continuing to investigate other venues. Contra Council will keep the community updated as we continue to discern which venues might best suit the needs of our community. Please feel free to email us with any questions or concerns! Just as a heads up, the weekly dance will return to Friday nights starting in March. March 16 will be our first Friday dance of the season. Make sure to check out the directions page for more information about parking and venue information for the Shiloh Center. This entry was posted in Uncategorized on February 14, 2018 by Eva Westheimer. Join Buddy System all weekend long for a great weekend of dance and music! 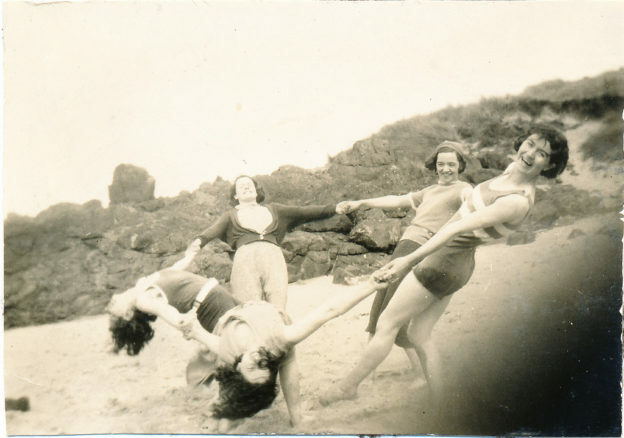 Want to get in the dancing mood?! Take a listen to this great tune:https://www.youtube.com/watch?time_continue=147&v=tGAMEnUfU3I. Friday: House concert, starting at 7:30pm at 207. S Aiken Ave. $20 suggested donation. Sunday: Open Waltzing at the Wilkins School Community Center, 7604 Charleston. 2-4PM on Sunday. $10 donation. 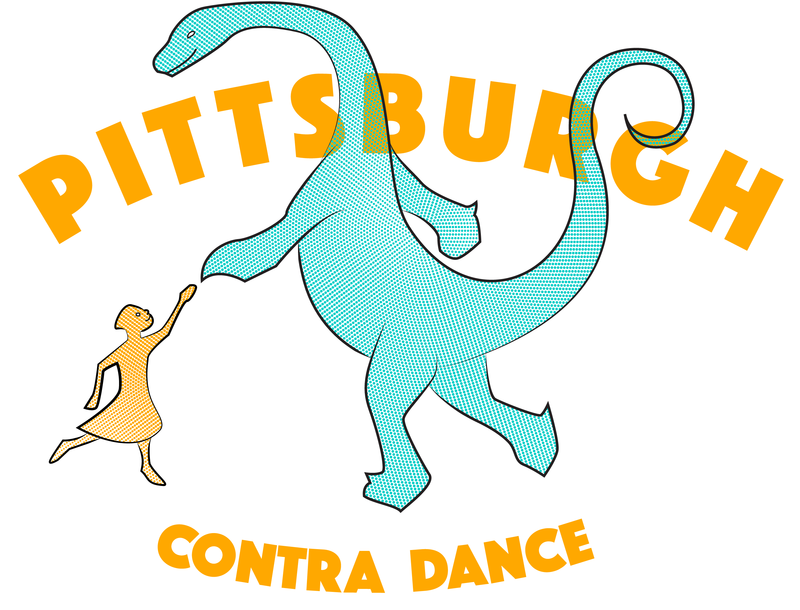 Contra Dance at CMU with Bob Frederking calling, 5:30-8:30pm. $10 suggested donation. NOAH VANNORSTRAND is known for his playing with The Great Bear Trio, one of the hottest and most influential dance bands in the country, as well as the Andrew and Noah Band and Giant Robot Dance. His driving rhythm, epic dynamics, creativity, and uniquely rocking style have given him a loyal following. A versatile multi-instrumentalist and prolific composer, Noah most often plays fiddle, foot percussion, and mandolin, along with didgeridoo and drums (and a few other surprises). He grew up steeped in music and started performing with Great Bear at age 10. Since then he has played at numerous dance weekends, festivals, and music camps, including a performance on Garrison Keillor’s “A Prairie Home Companion” with his brother Andrew. JULIE VALLIMONT performs nationwide with the band Nor’easter and her collaboration with accordionist Rachel Bell. She is known for her driving piano style, skill in matching tunes to dances, and music with heart. She also plays accordion for contra, English, and French dancing. Julie’s compelling, rhythmic piano style draws on her study of New England contra piano and traditional Quebecois, Irish, and Cape Breton music, along with elements of rock and jazz. A former classical pianist and organist, she fell in love with traditional music and dance, and since then has gone on to perform at numerous festivals and music camps. Drawing on teaching skills developed over fifteen years as a natural science educator, Julie enjoys teaching and leading workshops. She also works as a sound engineer and organizes the BIDA dance in Boston, MA. This entry was posted in Events on January 30, 2018 by Eva Westheimer. 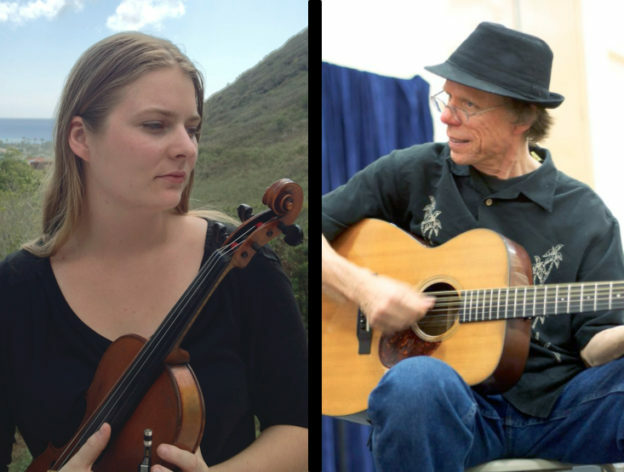 January 19–21, Larry Unger and Audrey Knuth will join us for a special weekend of music and dancing. Larry and Audrey are a Boston based traditional duo playing for contra dances and concerts. Guitar and banjo player Larry Unger and fiddler Audrey Knuth are a Boston based traditional duo who play exhilarating tunes with driving rhythms. Their concerts feature American and Celtic tunes with elements of other traditions including swing and blues. The weekend will begin with a Friday night house concert at 7:30pm at Wayne and Gaye’s (1125 LaClair Street in Regent Square) with a suggested donation of $20. Contact Gaye (gayefifer@gmail.com or 412-860-7845) to reserve seats. On Sunday, Larry and Audrey will host a musicians’ workshop from 10:30am–12pm at Wayne and Gaye’s house. The cost is $10; please call Gaye ahead of time to let her know that you are coming. 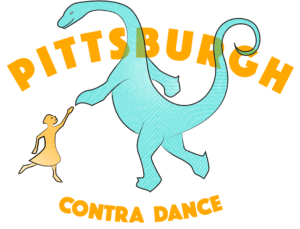 Sunday, January 21st dancing returns Sunday afternoon at Skibo Small Gym at CMU, 5098 Tech Street in Oakland, with an open waltz from 2–4pm followed by a contra dance (with Gaye Fifer calling) from 5:30–8:30pm. Don’t miss this full weekend of music and dance! This entry was posted in Events on January 17, 2018 by Eva Westheimer. Spring 2018 Season Passes Now Available! We’d love for all of you to attend as many dances as possible. 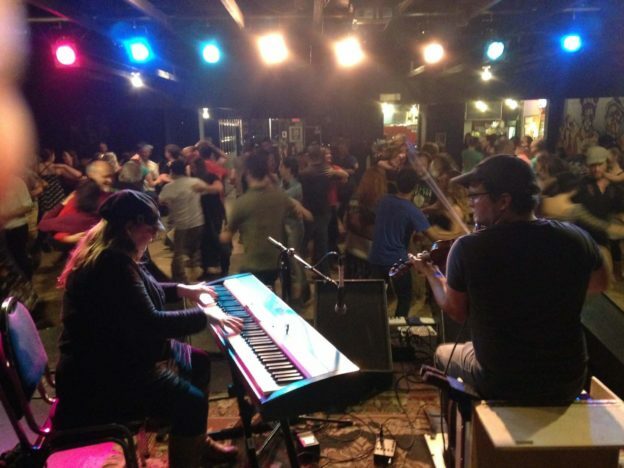 A full dance hall is great for everyone — the band, the caller, experienced dancers, and brand-new beginners all benefit from a bunch of nice long lines full of people like you. This entry was posted in Uncategorized on January 1, 2018 by David Adamson. Announcement on dance location from January 6th-February 24th. 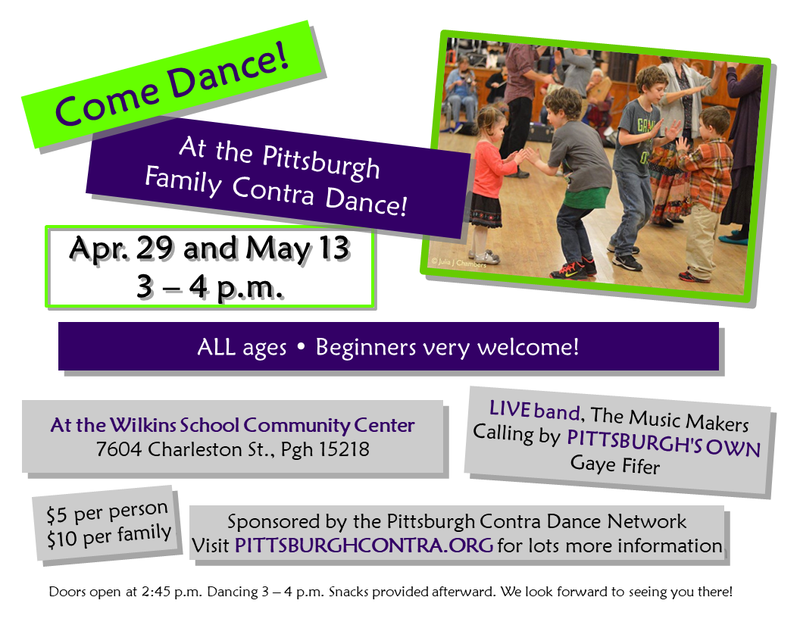 We will be dancing at the Shiloh Center- at 3832 Mintwood St. Pittsburgh, PA 15201 from the beginning of January- end of February 2018 as we are looking for a more permanent location. We will be keeping the dances on Saturday evenings, due to our already confirmed arrangements with the bands and callers. We are excited to be dancing at the Shiloh Center and we looking forward to dancing with you there! Bus Transportation: There is ample bus transportation with stops very close to the venue! The 54, 64, 86, 87, 88, and 93 all make stops near by. Parking: may be a little more difficult to find, however, there is street parking. There is also a parking lot at 37th and Mintwood (two streets over- we will have signs up directing you there!). We cannot park at the Health Department parking lot. Accessibility: Unfortunately this location is not ADA accessible. This entry was posted in Uncategorized on December 18, 2017 by Eva Westheimer. It has become clear over the last few weeks that Winchester Thurston is not working out as a home for our dances. The school recently informed us that we cannot hold dances in the gym at all during their basketball season, which is a big chunk of the year. The other spaces available at the school are too small or otherwise unsuitable as a permanent location for us. This is disappointing, especially since we were very upfront about the effects of dancing feet on a polished floor before we agreed to the arrangement. We are working now to find a stable, long-term solution for our dance venue and will share information as we investigate options. We want to be as transparent as possible with the community about this process. Please get in touch with the contra council if you have any suggestions or leads on potential venues. 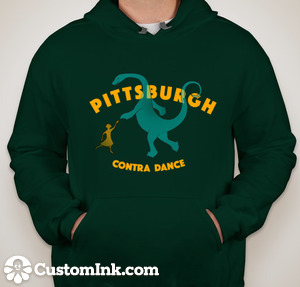 Email us at pittsburghcontradance@gmail.com or call us at (412) 945-0554. We want to emphasize that our dances will continue. Right now there’s a question of where our dances will find their home, but this community surely will continue to come together to share dancing and music. We are trying hard to minimize the confusion caused by changes in location so that coming together to dance is as easy as possible for everyone. 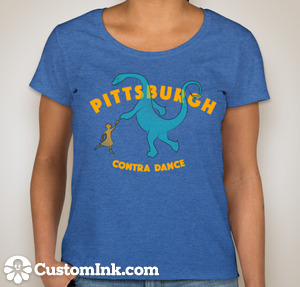 Please sign up for our weekly emails, if you haven’t already, you can do so here http://eepurl.com/bO9PaT, or check our website (pittsburghcontra.org) or our Facebook page (https://www.facebook.com/pittsburghcontra/) for updates about dance location and scheduling. For December, it is confirmed that dances will be held every Saturday: For the 9th, the 23rd and the 30th at the dance studio at Winchester Thurston. The Holiday Ball on Saturday the 16th will be held at the Swisshelm Park Community Center (1050 Windermere Dr, Pittsburgh, PA 15218). 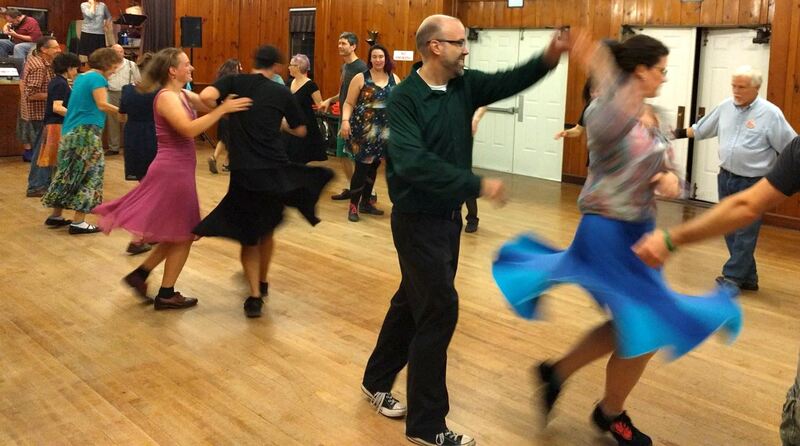 For January and February, we are working to arrange to hold dances on Friday nights in the small room at St. Nicholas Greek Orthodox Cathedral in Oakland, which is where the Fall Dance Weekend is held (419 S Dithridge St, Pittsburgh, PA 15213). This plan is not yet confirmed–we will keep the community informed about developments. If you have any questions or concerns, please reach out to the contra council. We are sorry that our dance life is a little out of rhythm right now, but we hope to be back in step together as soon as possible. This entry was posted in Uncategorized on December 6, 2017 by Eva Westheimer. 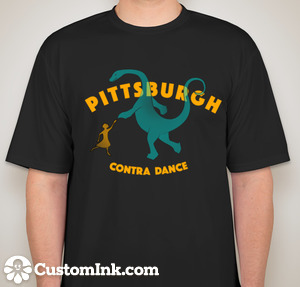 We’re delighted to unveil a new Pittsburgh Contra shirt design, available at the Fall Dance Weekend. 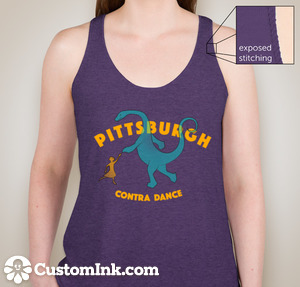 This year’s design features Pittsburgh icon, Dippy the Diplodocus. This entry was posted in Uncategorized on October 8, 2017 by David Adamson. 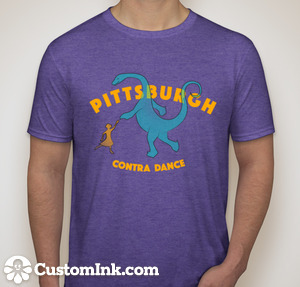 Please join us on Sunday, October 8th as we begin to plan our Pittsburgh Fall Dance Weekend 2018. Join us to discuss which bands and callers we’d like to invite for the wonderful weekend of dancing. During the meeting we will take suggestions on bands and callers that we think would make a great weekend of dancing. After receiving feedback and input, the Contra Council will follow up with our list of possible bands and callers to make a fantastic line up (making sure to balance styles of bands and callers)! First stage—idea generation. The first stage will involve participants making suggestions about the bands and callers they would like to perform at the 2018 Fall Dance Weekend. Participants may have specific bands and/or callers in mind, or they may describe general musical preferences (for example, old time, modern or jazz-influenced), calling preferences or other considerations that are important to them (for example, thoughtful matching of bands and callers or a having variety of musical styles). The goal of the first stage discussion will be to generate lists of possible bands and callers. Second stage—voting. The second stage will involve identifying the community’s preferences for possible bands and callers by using “dot-voting.” Dot-voting (voting with dot stickers) is a method of consensus decision-making in which participants vote on their chosen options using a limited number of dot stickers. Participants place stickers next to the options presented that they like (they may place any number of their dots on any number of the options). It is a quick and simple method for finding the priorities of the community in a long list of options. It leverages the collective wisdom of the community and provides an equal way for all voices in the community to be heard. Since the community’s most-preferred bands and callers may turn out to be unavailable for the 2018 Fall Dance Weekend, it is important for the contra council members to understand the community’s preferences generally and not just to have “top choices” that may be unworkable. Third stage—booking (occurs after the community planning meeting). The third stage will involve contra council members reaching out to the community’s preferred bands and callers to check their availability for the 2018 Fall Dance Weekend and then officially booking bands and callers. This entry was posted in Events on September 5, 2017 by Eva Westheimer.